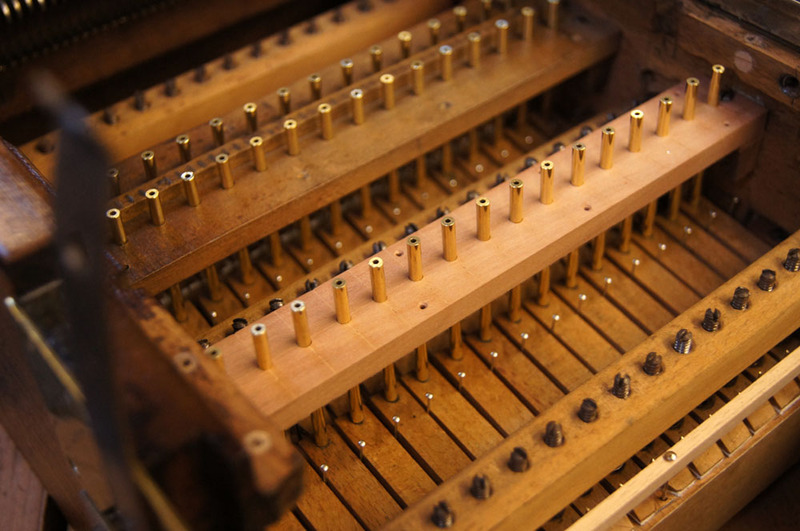 Our principal activity since 1976 has been the restoration of mechanical musical instruments. We enjoy and appreciate all types and all have their own special character. We have worked on most makes of French fair organs, including Gavioli, Marenghi, Limonaire and Gasparini organs. We also have experience of Ruth, Gebr. Bruder, Wilhelm Bruder Söhne, Gebr. Wellershaus, Bacigalupo, Imhof & Mukle, Welte and other German organs. 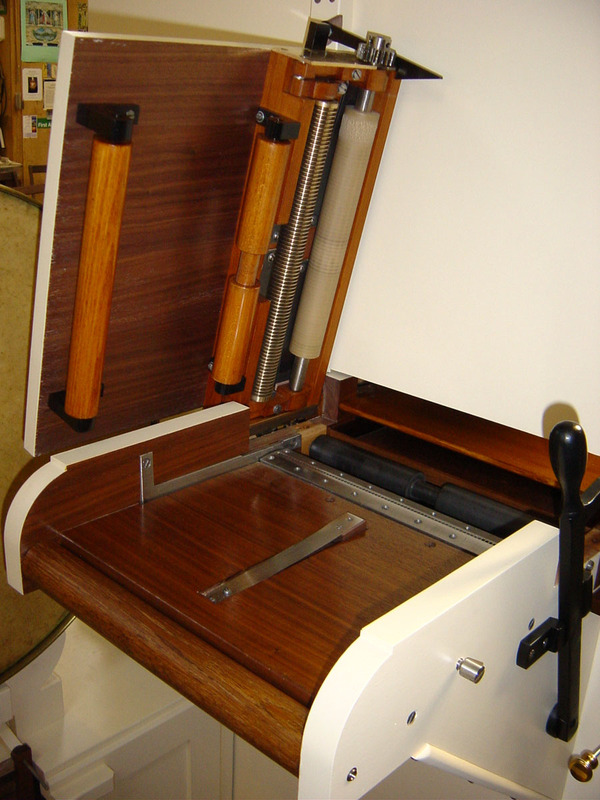 We have also worked on many Belgian instruments including those by Mortier, Bursens, van Steenput, Pierre Eich, Koenigsberg and Gebr. Decap. Our experience also embraces more recent instruments which incorporate electronic sound sources as well as traditional pipes. Completely repaired and re-leathered bellows and reservoir from a Gavioli organ. 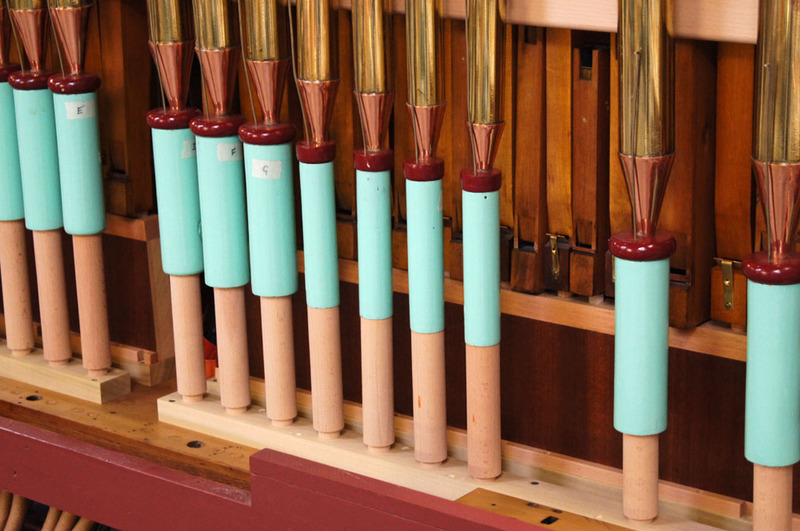 A view of the pallets and guide pins, springs and rails inside a carefully restored wind chest from a large street organ. As the original pallets were badly worn, a new set has been made and fitted. Note the repair in the centre, dovetailed for strength. 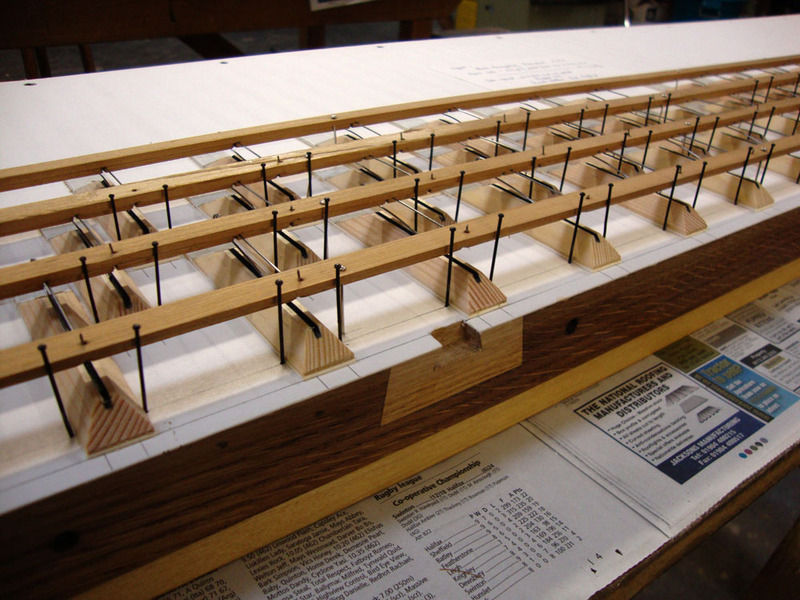 The complex arrangement of pallets, springs and push rods inside the keyframe of a 46 key Gavioli organ. Due to excessive wear, the guide rail in the centre has been replaced. Foreground: new conduits, feet and toe boards for brass saxophones made to replace missing originals. 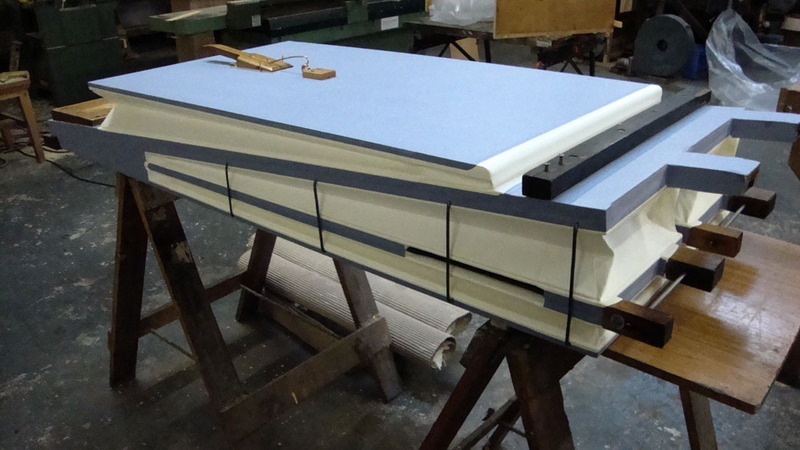 Behind: new channelled risers made from timber and veneered to replace missing originals. A brand new keyframe made for a model 36 (78 keyless) Ruth organ. 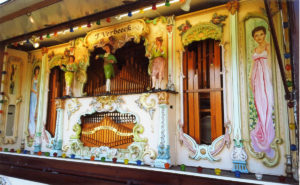 The original one had been removed many years ago when the organ was converted to play music rolls in the USA. 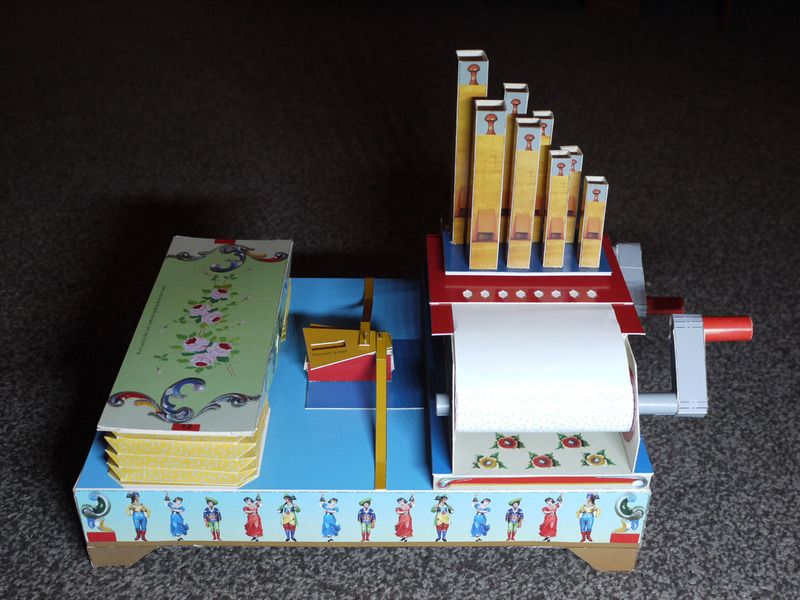 We also work on other types of mechanical musical instruments for museums, country houses and private collectors. 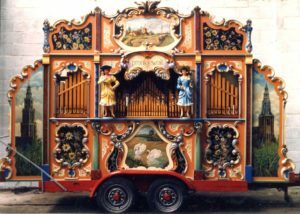 An especially interesting and challenging project was the restoration of a clockwork barrel organ, more than 200 years old, which was completed a few years ago, and is now on view at Raby Castle.